The 2018 Mazda6 exterior features are based on the KODO design and include body-colored door mirrors with integrated turn signals, enhanced aerodynamic body style, and accent lights on the Grand Touring front grille. Find out how it can improve your Irmo commute at Midlands Mazda, and then explore the Mazda6 safety features! Compare the Mazda6 vs. Toyota Corolla to see how each sedan measures up. Lexington drivers will find the new Mazda6 model that’s right for them at Midlands Mazda. Visit our dealership today or contact us to learn more about our financing options. 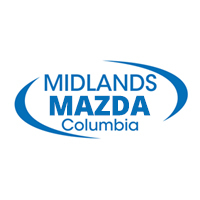 Experience the Mazda6 technology in person by scheduling a test drive with Midlands Mazda in Columbia.